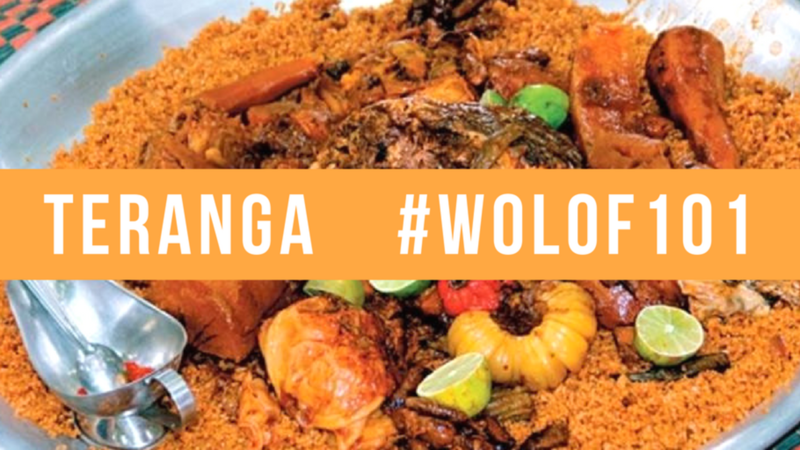 Brought to you by Wolof101 - online Wolof language lessons for speakers of English. Go for a walk and drink an early morning Café Touba on the Main Street of Saly. Start your day with a kick! 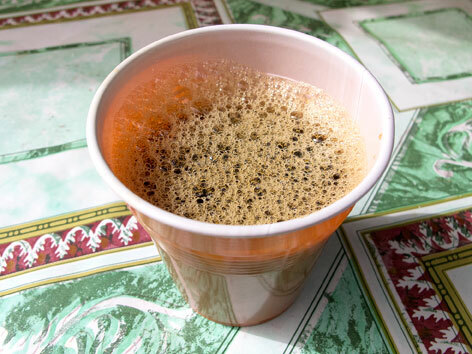 The sweet and spicy Café Touba is served daily in homes and on streets everywhere in Senegal. Keep a look out for the small brown plastic cups. Grab a BBQ Goat 'Dibiterie' dinner after bartering for discounted clothing and accessories in Marche Colobane. Hit the markets and work up an appetite by bartering hard for a bargain. Celebrate shopping success with a serve of BBQ Goat 'Dibiterie'. Wrapped in paper and served with a healthy dose of onions and mustard, this full flavoured meal is for those who love big flavour. Guzzle a bag of water after an afternoon game of football along Yeumbeul Beach. Work up a sweat with an afternoon game of football and a round of wrestling on one of the many beaches stretching Senegal's coast. 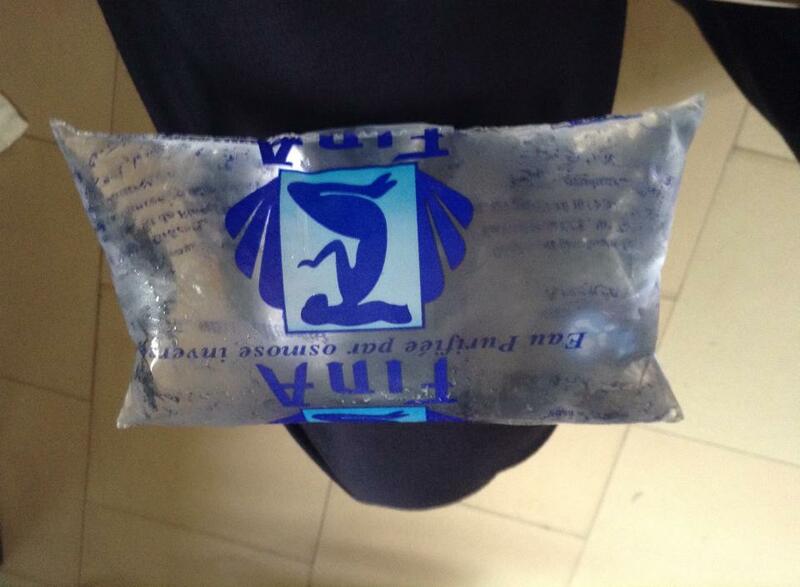 Re-hydrate with a bag or two of water supplied by one of the many vendors along the road. 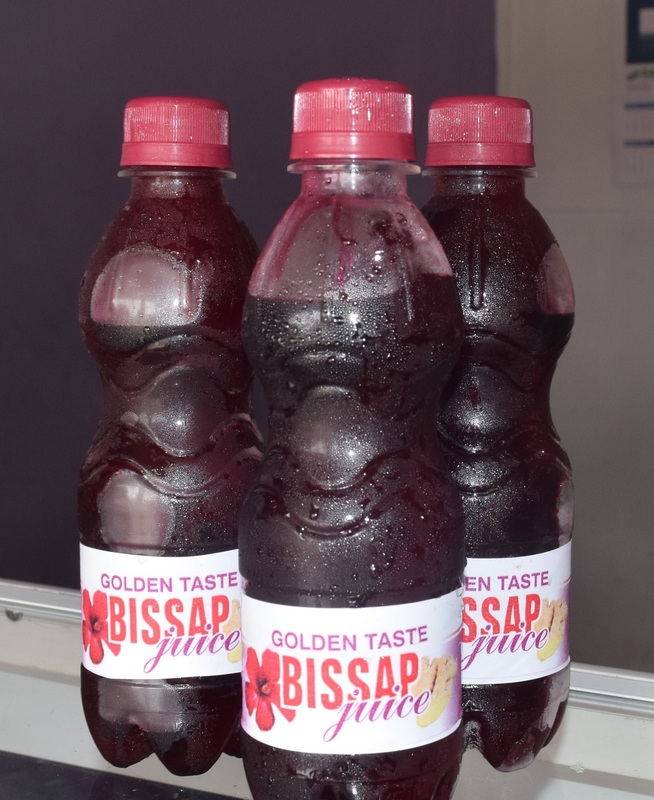 Sip an ice cold Bissap Juice on Gorée Island. Visit the beautiful island with a tragic past. Hire a local guide and tour the many significant sites. Reflect as you wait for the ferry with an ice cold Bissap Juice made from the flowers of the Hibiscus. 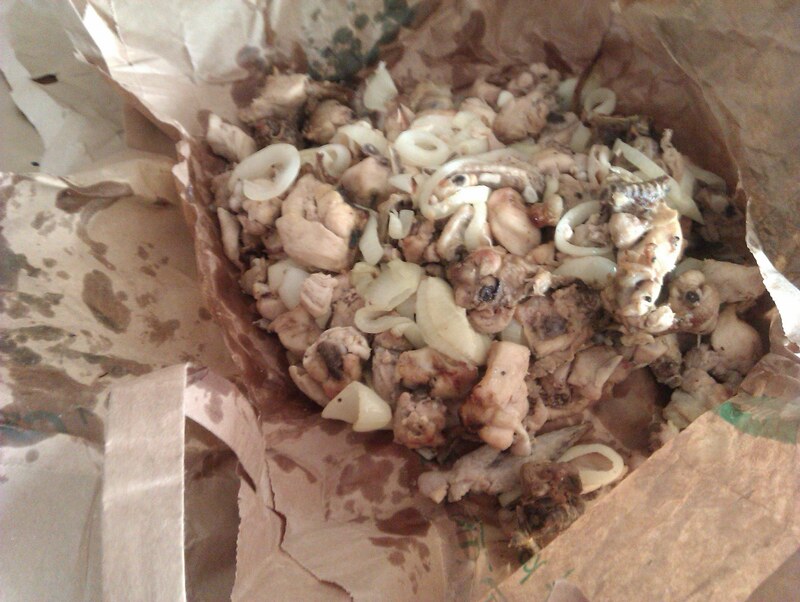 Share Thieboudienne with friends in St. Louis. Served in a large silver bowl, Thieboudienne is the national dish of Senegal. Enjoyed daily by families and friends around the country, this complete 'rice of fish' meal embodies the flavours of Senegal. Sample Madd and the foot of the African Renaissance Monument. You will work hard to climb all the steps to the base of the African Renaissance Monument. Following an elevator ride to the viewing platform, celebrate your altitude acomplishment with the sweet, sour and salty fruit. Available everywhere when in season. Share a late night Shisha, tea and dessert with friends in downtown Dakar. Dakar never sleeps, join countless people chilling around the city in one of the many Shisha pipe cafes. Treat yourself to a Thiakry Dessert on the road to Touba. The pilgrimage to Touba is a long journey. 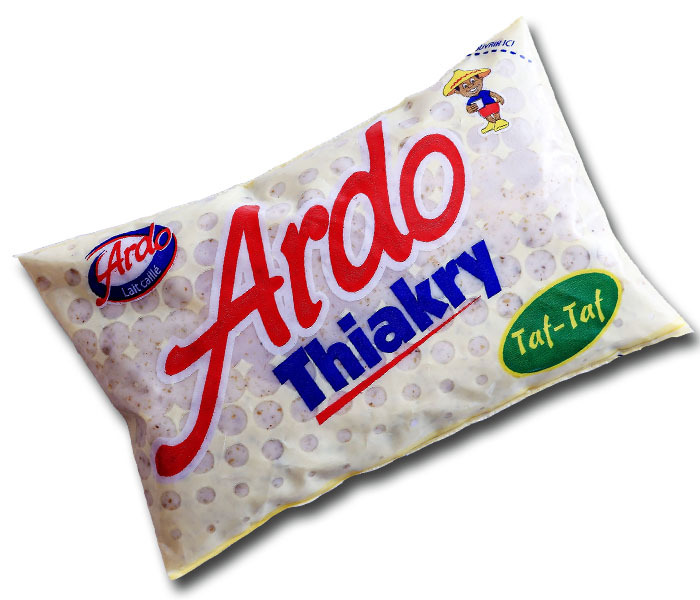 Boost your energy levels with a bag of Thiakry at one of service stations between Dakar and Touba. If you enjoy the mass produced product, you'll love the home prepared dessert. Munch a bag of nuts whilst stuck in a taxi traffic. Stuck in a taxi in traffic? Welcome to Dakar! Learn to slow down and enjoy the journey by munching on a bag of peanuts from one of the many street vendors who will serve you in your taxi. Daily delight of crispy French Baguettes. Want to enjoy some of the best French bread? Visit Senegal. 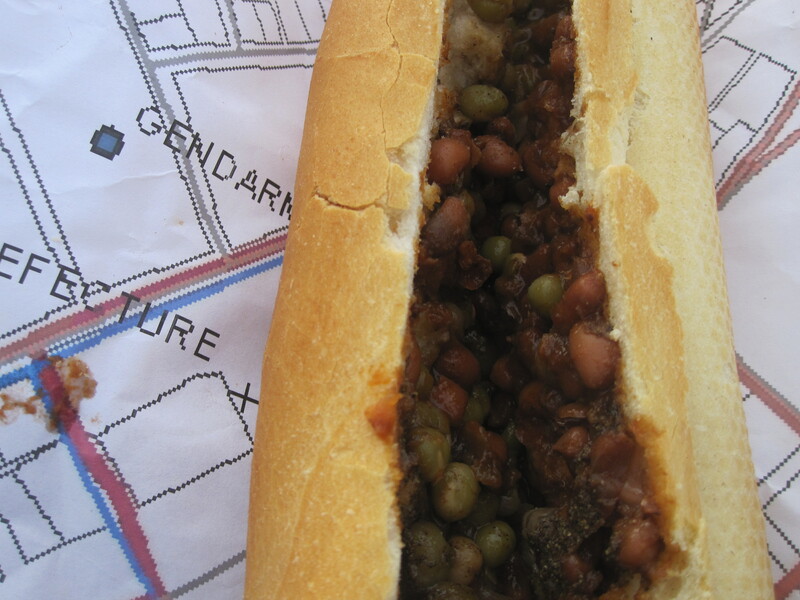 The former French colony is an expert at baking the French Baguette. 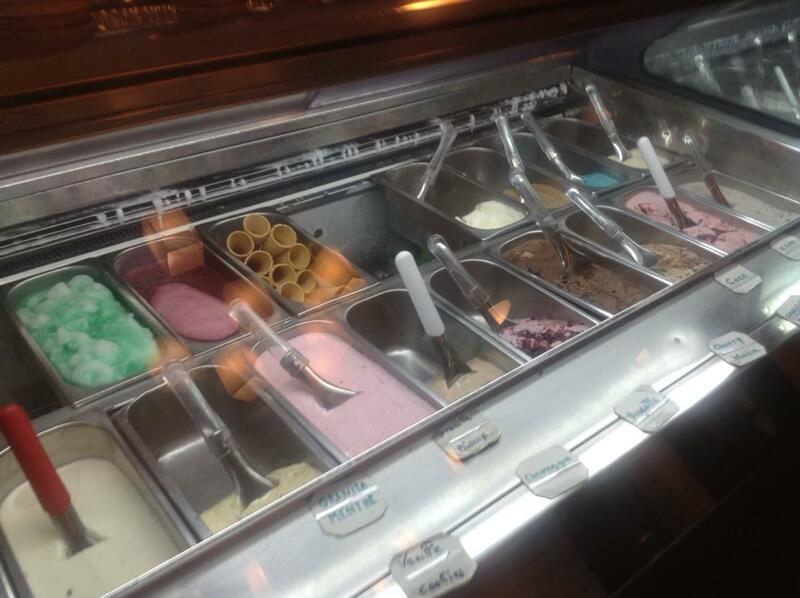 Enjoyed daily with a range of fillings.